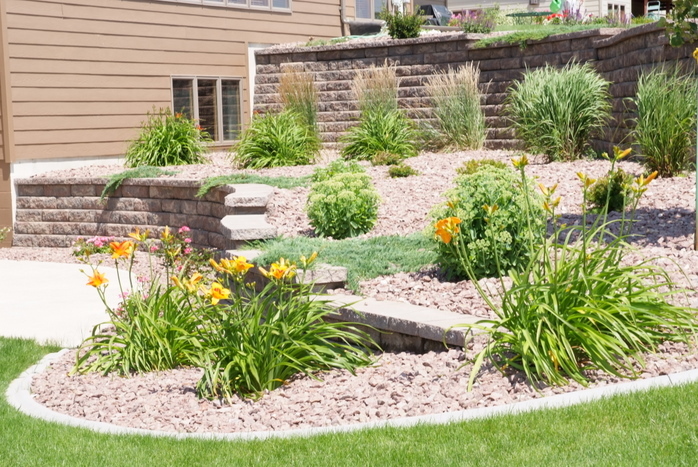 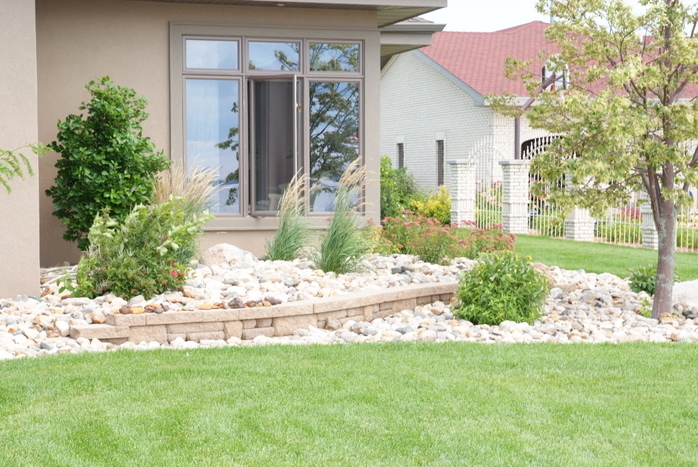 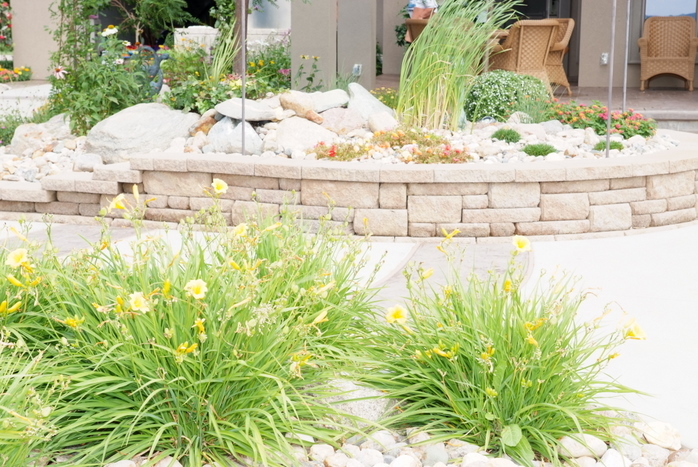 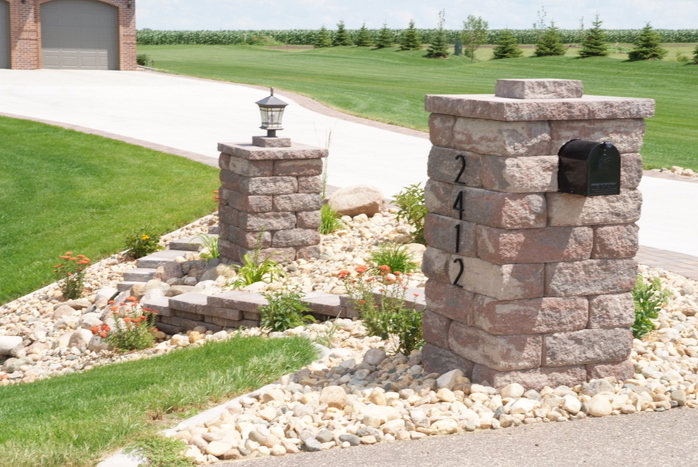 Retaining blocks can be used for the following landscaping features: walls, with or without stairs, window wells, flower planters, and tree rings. 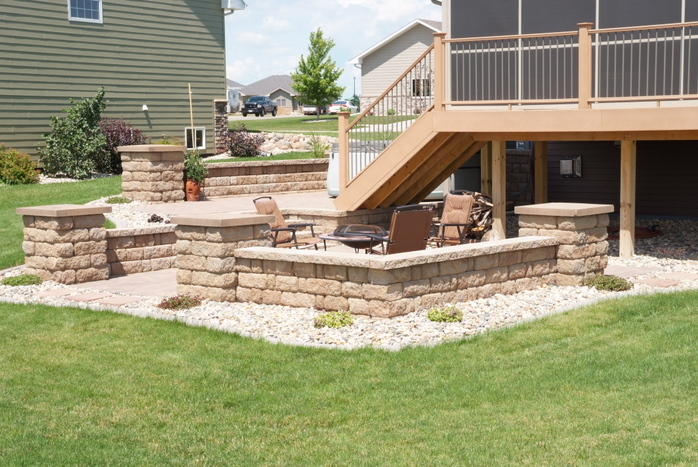 These features can also be created out of rock boulders. 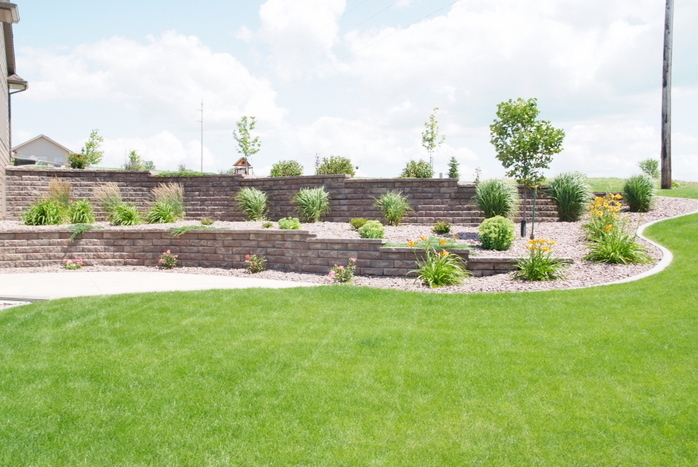 Either option you choose is sure to add character to your bigger depth areas. 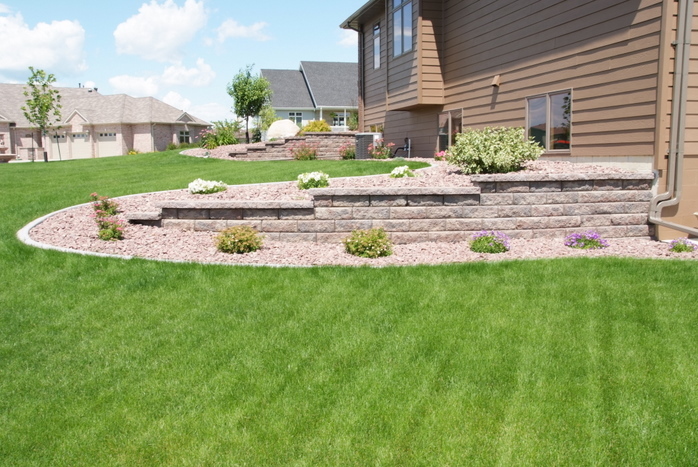 Welcome to Professional Landscaping & Lawn Irrigation, LLC where customer satisfaction is our main goal.